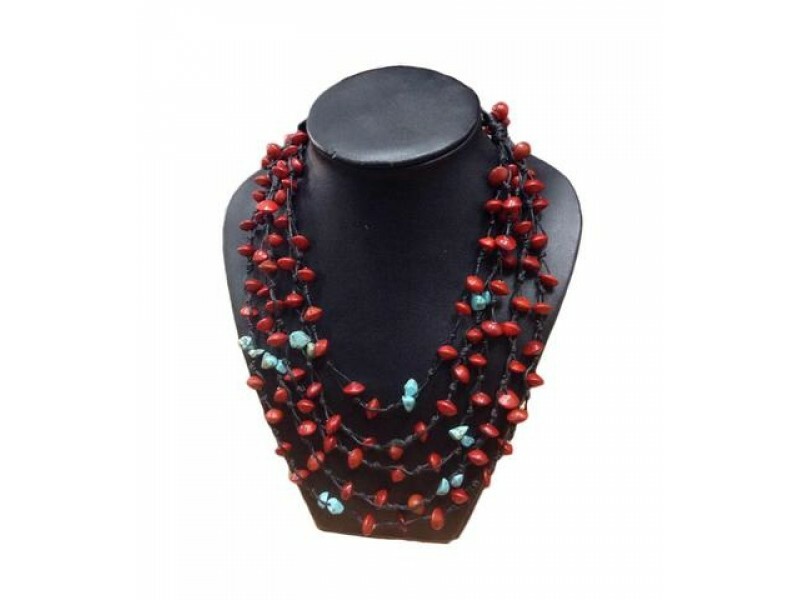 Five strands of vibrant red seeds from a sandalwood tree make a perfect statement piece for your little black dress, or as a casual addition to your everyday tee. Red "love seeds" rain from trees in Phnom Penh and the provinces during the monsoon season. The artisans of Khmer Creations collect, wash and dry the seeds and use them to make these unique pieces. Each seed is individually hand drilled and threaded onto waxed cotton with a few chips of faux turquoise.